LENS PEN COMBO KITS IN STOCK! 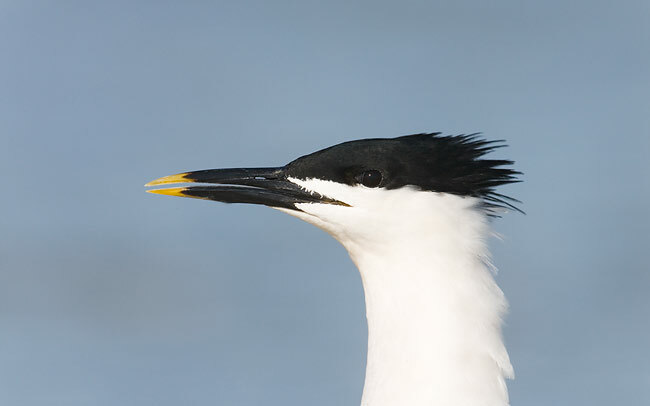 Photographic Theme: My favorite images from my recent visit to Fort DeSoto Park. Canon 500mm f/4L IS lens with EOS 1Ds Mark II. ISO 320. Evaluative Metering at zero: 1/1600 sec. at f/8. Canon 500mm f/4L IS lens with EOS 1Ds Mark II. ISO 400. Evaluative Metering +1 stop: 1/250 sec. at f/4. Canon 500mm f/4L IS lens with 1.4X II TC and EOS 1Ds Mark II. ISO 400. Evaluative Metering +1 1/3 stops: 1/200 sec. at f/5.6. As there was pretty much nothing going on at the Skyway Fishing Pier we worked the shoreline at the rest area and came up with some nice stuff. Assistant leader Robert O'Toole pointed this situation out to the group. 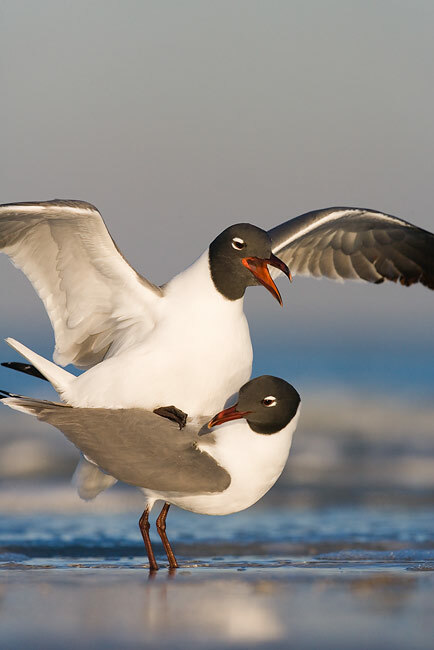 Every day we battled the north winds, every day we got wet and froze, and every day we photographed a whole lot of Laughing Gulls. 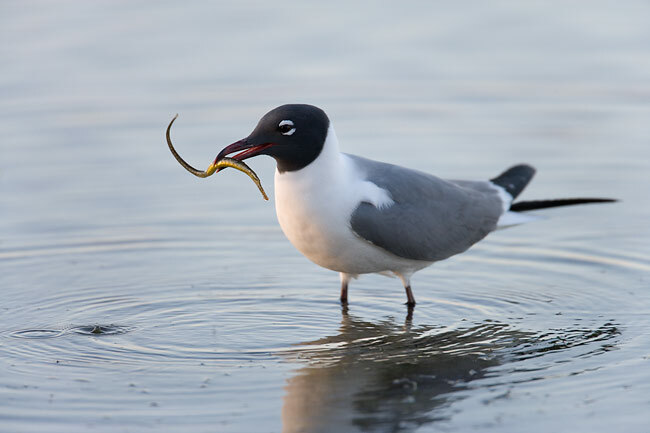 With our extended classroom sessions and image sharing at lunch and dinner, folks began to realize that you can create an almost infinite variety of interesting images of the same subject, i.e., Laughing Gull. 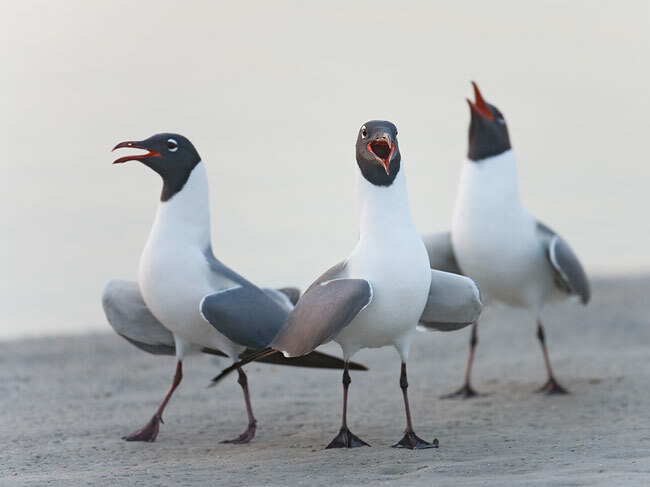 I guess that this will be forever remembered as the Laughing Gull IPT. And all these nice folks I have been telling you about had wonderful interesting stories to share. Fred DeGroot, a spry seventy-six year old Dutchman, told of his 4+ years of internment in Indonesia during WWII, and internment that began when he was 11. He was first interned by the Japanese for being Indonesian, and once Holland granted Indonesia its independence, he was interned again, this time for being Dutch! He could not win for losing. His positive outlook and the sheer delight he got from being out on the beach was an inspiration to everyone. Keith Kennedy was joined by his son and his lovely wife. Keith shared many incredible macro images during the critiquing session and David had lots of great bird photos and an incredible knowledge of Photoshop. Tex Rex, Rex Hewitt was an accomplished photographer as well; his spectacular spoonbill image graced the cover of the last Texas Valley Land Fund Contest book. Despite the lack of birds, he too was thrilled with the birds that we encountered. Rebecca Zimmerman, a former NANPA scholarship student, thanked me for being the only pro at NANPA to encourage the kids as far as making a career of photography. Both John Shaw and I advised Becky to trade her 600mm Nikkor lens and her huge video tripod for either the 200-400 VR zoom or the latest Nikkor 500mm lens. Her stuff was so heavy that she was pretty much anchored in one spot... Greg Hritzo reminded me of my younger self, skipping Nap Time to continue photographing and always being the first one down on his belly or wading out in the Gulf in pursuit of a new species. His wife Ann Young and Keith's wife birded together at all of the sessions. Skilled bird photographer and IPT veteran Robert Malpas traveled from the UK and skilled underwater photographer Marcelo Krause (http://www.underwater.com.br/) flew from Brazil to join us. Brad Miller from Miami is a skilled photographer and fisherman and a helluva nice guy. You can check out his stock photos here: http://www.bradmiller.com/detected.php?page=&pass= His "Cars" and his "Architectural" portfolios are superb. Todd Fibus, who helped me at the Atlanta Seminar, has improved his bird photography tremendously in just a few months, proving that an EOS 20 or 30D and the 400mm f.5.6 L lens (my beloved "toy lens") is a great starter outfit. Greg Ferguson was the proverbial rocket scientist. Christina Kleberg works for the Peregrine Fund. Judy Goodstein and Joel Reynolds rounded out what turned out to be the nicest, most interesting group of IPT folks ever. And, overall, the images presented for critiquing were the best that I have seen. Evaluative Metering +2/3 stop: 1/80 sec. at f/4. It is amazing to me how many folks show up for their first IPT with many, many thousands of dollars of digital photography equipment but do not know how to check for flashing highlights or how to evaluative and adjust a histogram... As an excellent photographer, Brad Miller had those skills down pat. You can learn to do both of these with either Digital Basics or ABP II. See the links on the home page for additional info. On our last afternoon, we finally had some good luck with winds from the west and a variety of great subjects to choose from including skimmers, lots of Royal Terns, the Western and Eastern races of Willet, and a good variety of other shorebird species including Marbled Godwit, Greater Yellowlegs, and Ruddy Turnstone. We stayed on the beach to photograph the sun with stacked teleconverters as it kissed the Gulf goodbye. As I was stowing my gear I was amazed to see all the folks assembled in small groups hugging and chatting and saying goodbye. The love-fest went on for nearly 30 minutes. All in all, despite the cold weather and the lack of birds, the DeSoto IPT was one of the most rewarding experiences of my career. Canon 500mm f/4L IS lens with EOS 1Ds Mark II. ISO 250. Evaluative Metering +1/3 stops: 1/3200 sec. at f/4. On our last afternoon we had some great chances with shorebirds, including a mixed flock of Eastern and Western race Willets. I chose the wide open aperture here to ensure that both the foreground and background were totally out of focus. The placement of the wave-let was serendipitous. During the past week, I received the following e-mails. Hi Art, I wanted to tell you that I learned an enormous amount from you and your leaders. And having John Shaw there was unbelievable. Plus, I got a lot from many of the other participants at the Ft. Desoto IPT. Everyone was so talented and all helpful! Alfred Forns, one of your teaching staff, helped me set up images of that last fiery sunset using stacked teleconvertors stacked. Al showed me how to use the depth of field preview to avoid eye damage (while working at f/32). Your teaching session on zoom-blurs opened up many new possibilities. One of the Roberts also showed me how to blur ocean waves at sunset; the sunlight caught in the wave curls was sparkling. The imaging critique session was eye-opening! Your comments on exposure (along with constant reinforcement) and your trick of checking the right side of the histogram has started saving me a lot of images that I would have over or under-exposed. Robert O'Toole's lens-cleaning demonstration was invaluable!!!! And finally, your showing us how to quickly get a bit lower by throwing out the front leg of the tripod was extremely helpful; I tried it at the lagoon that afternoon. I got good and wet, but also got the picture! Hi Artie, Even when one is 76 years old, one is never too old to learn...I myself, even though the weather was not the most desirable Florida beach weather...enjoyed the 3 days I spent with you (as the Guru of "shooting" Birds" n the great other participants....I never would have had a seminar more interesting n a whole mountain of new things to learn, than this Fort De Soto IPT, orchestrated by you Artie. I thank you very, very much for your enthusiasm n endless level of activities to get us moving n learning the art of Bird-Photography! While I'm still able n healthy, I would like to sign up for more of your future IPTs. Take care n a BRAVO for you Artie... many, many thanks... Fred. Canon 500mm f/4L IS lens with 2X II TC and EOS 1Ds Mark II. ISO 400. Evaluative Metering -1/3 stop: 1/200 sec. at f/10. This image was made on our second afternoon when we visited one of the DeSoto piers. I had set -1/3 stop as most of the birds were in the sun, but made this image of a bird in the shade without changing the exposure. Adjustments to exposure and White Balance were made quickly and easily prior to conversion in Adobe Raw Converter. Details will be in the updated Digital Basics coming soon. Mark Hickenbottom wrote via e-mail asking whether the Umbrella Clamp could be used on the Wimberley Sidekick. I trotted out to the garage to do some testing and found out that the Umbrella Clamp would indeed work with the Sidekick . In the process, I discovered a better way to secure the Mongoose to the new Wimberley head. I photographed the two set-ups and have prepared a short guide to using the Umbrella Clamp. If you would like to receive this file, please send an e-mail with Umbrella Clamp Pix as the Subject Line. Canon 500mm f/4L IS lens with 2X II TC and EOS 1Ds Mark II. ISO 250. Evaluative Metering -1/3 stop: 1/640 sec. at f/13. John Shaw was kind to share some of his vast Photoshop knowledge with us on the recent DeSoto IPT. After hemming and hawing about doing my RAW conversions in Adobe Camera Raw for several months, John talked me through my very first Photoshop ACR conversion. There are many advantages to converting in ACR rather than in Breezebrowser (as I had been doing for more than 3 years). Among them are speed, the presence of an easy-to-use color temperature slider, a great vignetting slider (that works miracles with EOS 1Ds Mark II and 5D images), and the ability to convert groups of similar images with the same settings. After polishing up my act I will share with you some of the new tricks that I have come up with in the next update to Digital Basics. In the meantime here are two tips from John, one for Photoshop in general, and one specific to ACR conversions. As a Photoshop speed freak, I have always used keyboard shortcuts: Z for the Zoom Tool, S for the Clone Stamp, L for the Lasso Tool, C for the Crop Tool, and J for the Spot Healing Brush. They allow you to switch from tool to tool with the press of a single key. This is a lot faster than having to move the cursor over to the tool bar. When I wanted to use the incredibly useful Patch Tool, it was a pain because it lies underneath the Spot Healing Brush. I had to go to the tools palette, right click on the box with the Spot Healing Brush, and then click on the Patch Tool to activate it. When I wanted to switch back to the Spot Healing Brush, I had to repeat the cumbersome process in reverse. I mentioned to John that I wished that I could have a keyboard shortcut that would allow me to switch instantly between the Spot Healing Brush and the Patch Tool. He said, "That's easy." Here is John's tip #1 for customizing your keyboard shortcuts: If you want to create a shortcut for any tool on the palette, click on Edit/Keyboard Shortcuts, scroll down to the tool you wish to create a new shortcut for, and click on it. If there is a conflict with another shortcut, a note will appear stating, "That shortcut is already in use and will be removed from the whatever tool." Click on "Accept on Go to Conflict." If the tool that is in conflict is one that you use never or infrequently, simply leave the box blank and click on "Accept." Your other option is to type in a new shortcut that makes sense to you and then click "Accept." Now I can switch instantly back and forth between the Spot Healing Brush and the Patch Tool by clicking on either J or P. Thanks John! Here is John's tip #2: In Adobe Camera Raw, the White Balance Tool (located on the tool bar along the top of the window) does not work as one would expect. If you click on the White Balance Tool and then click on white, the results are often quite funky. John suggested clicking on a light grey area (if the image has one). I have tried it on more than a few images already and in many cases it yields a perfect Color Temperature setting (and often results in pure whites as well). When the results are not to my liking, I will simply experiment with the Color Temperature slider. BTW, while John Shaw does his conversions in Photoshop's Adobe Camera Raw, he uses Breezebrowser for all of his editing and file management. In addition, he is a huge fan of Downloader Pro. Learn more about Breezebrowser Pro and Downloader Pro here: http://www.birdsasart.com/breezebrowser.htm John (www.johnshawphoto.com) has updated his e-book: John Shaw's Photoshop Guide. The book covers creating the best digital files possible, not just for making prints, but for any use. You can order a copy for $30 postpaid by clicking here: http://www.johnshawphoto.com/ebook.htm. Evaluative Metering +2/3 stop: 1/500 sec. at f/10 in Tv mode. Canon 70-200mm f/2.8L IS lens with EOS 1Ds Mark II. ISO 50. Evaluative Metering at zero: 1/6 sec. at f/32 in Av mode. When things are slow I try to teach folks to expand their creative vision by thinking out of the box. Here I needed to set the lowest ISO and use a polarizer rotated to maximum darkness in order to get the slow shutter speed that I wanted. We just received our fifth shipment of 500 Lens Pen Combo Kits. John Shaw tried a Lens Pen in San Diego and now recommends them unequivocally. We have sold more than 2,000 Combo kits. Two folks wrote for additional help. The other 1,998 have been thrilled with the ease of removing sensor dust with the smaller Lens Pen. Detailed instructions for creating before and after test images and for cleaning the sensors of your digital cameras are included in our Lens Pen instruction file which is sent via e-mail after we ship your order. (As we have had so, so many orders, we have missed sending a few of the instruction files. If you do not receive your file, please send us an e-mail reminder. Thanks! Evaluative Metering +2/3 stop: 1/60 sec. at f/16. Marcelo Krause and I snuck up on this bird while exploring away from the group for a bit. I chose f/16 in an effort to sharpen up the sand piles around the bird. 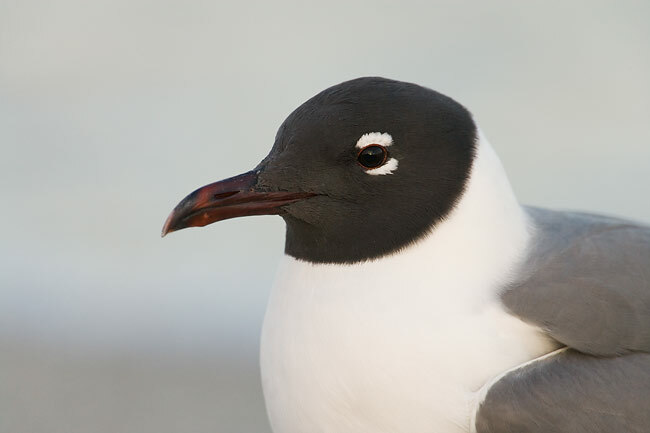 Greg Downing and I are taking two groups to Nome, AK to photograph Arctic nesting birds (in breeding plumage) that are difficult or impossible to photograph virtually anywhere else in North America. 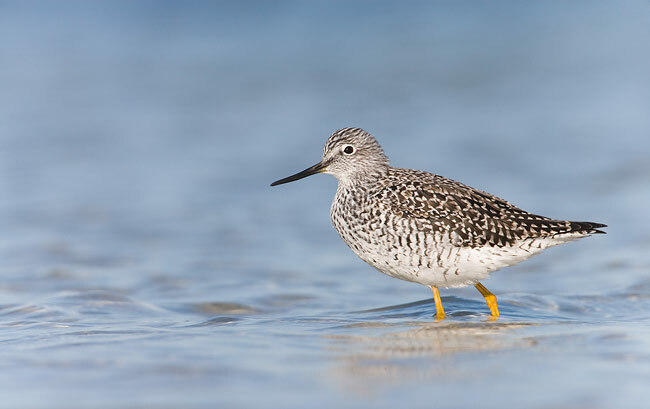 Some of the expected species are Western and Semipalmated Sandpiper, Dunlin, Bar-tailed Godwit, American and Pacific Golden-Plover, Black-bellied Plover, Gyrfalcon, Arctic and Aleutian Tern, Golden-crowned Sparrow, Yellow Warbler, and Common Redpoll among others. 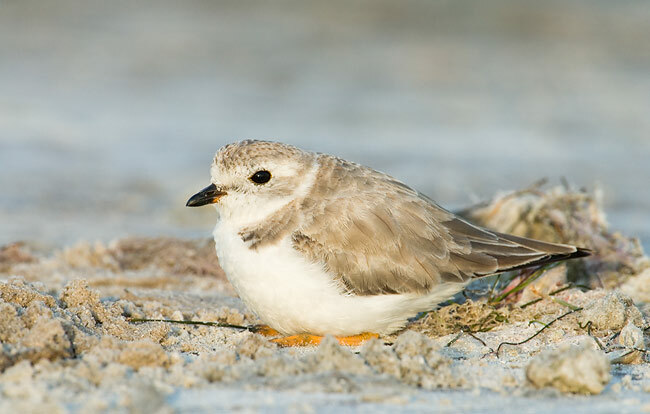 Some shorebird chicks are expected. Greg's group has two openings. Please contact BAA via e-mail at birdsasart@att.net if you are interested in joining us. June 10-19, 2006. Ten full days: $3750 includes all meals and ground transportation. Flights to and from Nome and lodging are not included. Canon 400mm f/5.6 L lens with EOS 1Ds Mark II. ISO 400. Evaluative Metering -2 stops: 1/1250 sec. at f/25. 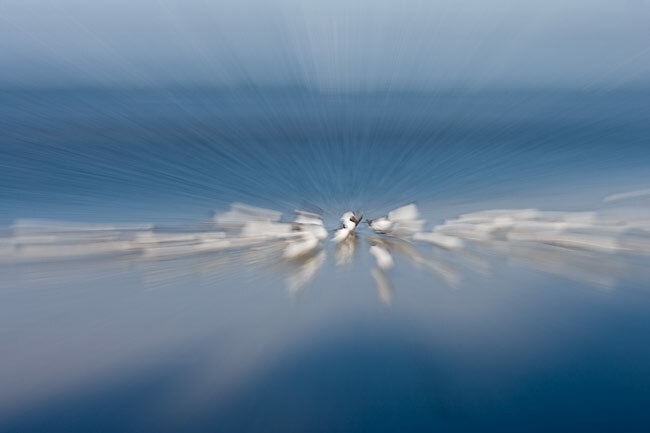 This digital illustration was created from a blasting highlights image using a variety of Photoshop techniques (all described in Digital Basics). GALAPAGOS PHOTO CRUISE/YACHT BELUGA JUNE 30-JULY 7, 2006. We have a single male-share spot available. Please e-mail janie@distinctive-journeys.com for details if you would like to join us. KENYA FLY-DRIVE PHOTO SAFARI, AUG 2006. SAMBURU, MAASAI MARA, AND MORE. With co-leader Todd Gustafson. Leave the US AUG 21. Amsterdam to Nairobi: AUG 22. Amsterdam to US: SEPT 7. $9499 per person (round trip airfare to Kenya not included). Please e-mail for itinerary. Four slots left. Bosque #1: "The Fall Color IPT" NOV 14-16, 2006. Slide Program on the evening of NOV 13. 3-DAY: $929. (Limit 14, Openings: 8) This IPT should feature a better chance for a day or two of the rare south winds that drastically improve flight photography and will definitely feature the brightest fall-color cottonwoods. Bosque #2: "The Pre-Thanksgiving IPT" NOV 19-21, 2006. Slide Program on the evening of NOV 18. 3-DAY: $929. (Limit 14, Openings: 5) This and the next IPT have sold out for the past eight years. In 2006 I may once again be hosting a Thanksgiving day luncheon buffet. If it goes, folks will need to reserve a spot and pay in advance. Details TBA. Dinner will be strictly limited to 50 folks. This IPT will feature increasing numbers of geese and cranes with lots of great opportunities. Bosque #3: "The Post-Thanksgiving IPT" NOV 25-27, 2006. Slide Program on the evening of NOV 24. 3-DAY: $929. (SOLD OUT) This IPT has sold out for the past eight years as it is scheduled on dates that I consider peak for Bosque. Seminar: DEC 2-3, 2006. 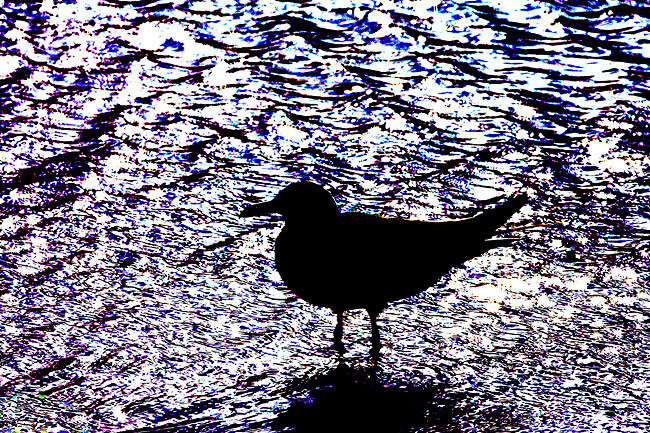 BIRDS AS ART "The Art of Nature Photography; It Ain't Just Birds!" How-To Weekend Seminar in Albuquerque, NM. Details TBA. Folks wishing to combine an IPT with the Seminar should sign up for Bosque #4 (below). Bosque #4: "The Full Moon IPT" DEC 4 (mid-day) through DEC 7 (mid day), 2006. 3-DAY: $929. (Limit 14 Openings: 11) Slide Program mid-day on DEC 4. 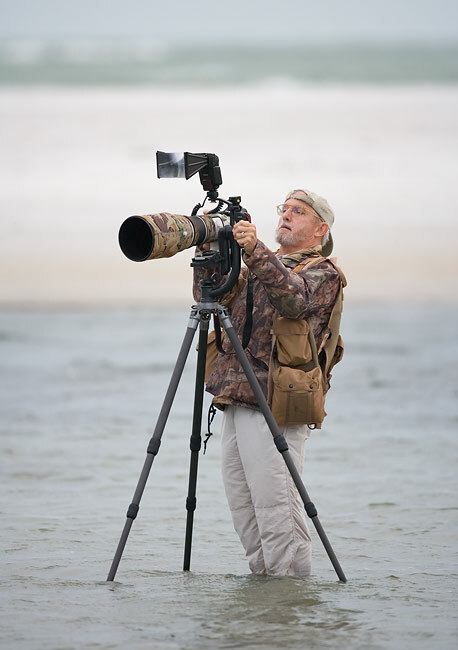 Co-leaders include Manuel Presti, 2005 Wildlife Photographer of the Year, and Robert Amoruso. This IPT includes a half day of photography on the 4th, two full days of photography on the 5th and 6th, and a final half day on December 7th. Limit 14. This IPT has been scheduled to maximize the opportunities to include the rising and setting full (DEC 5) and near-full moon in your images. There will be lots of the usual chances as well, and this time period has provided more than its share of spectacular sunrises and sunsets over the years. Evaluative Metering at zero: 1/800 sec. at f/11. This image was also made on our second afternoon. 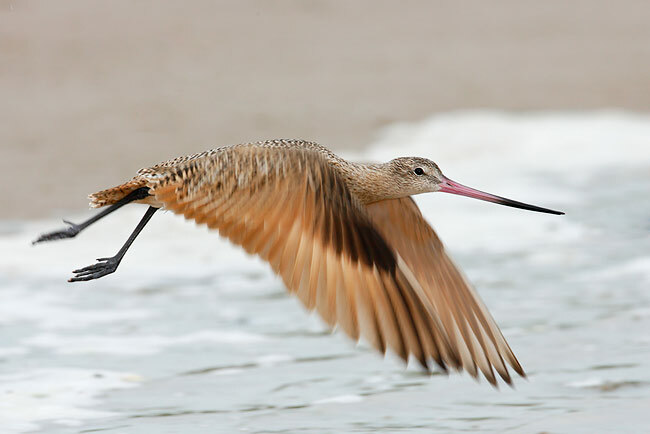 We went to North Beach and had some success with this bird and two Marbled Godwits. After the small group of shorebirds was flushed by a raptor we gave up and headed to one of the DeSoto piers. When things are tough on IPTs I never give up. 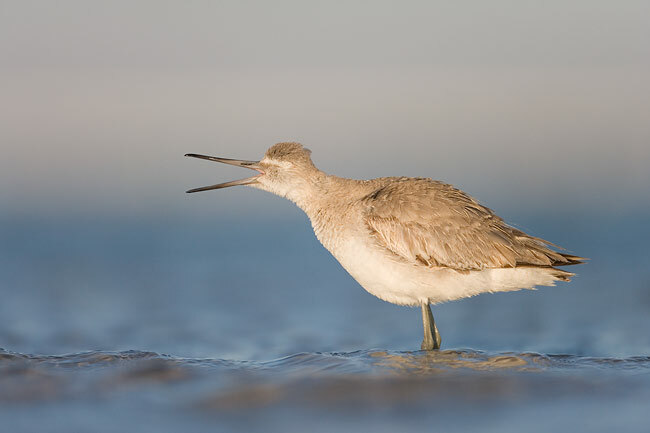 When photographing shorebirds there is simply nothing more effective than working at ground level.